Invite friends and family! 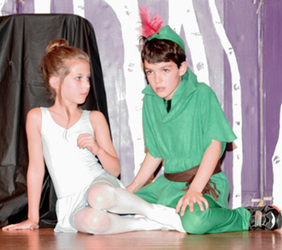 Professional staff patiently guides your child in a fun and educational theatrical experience on stage!! Meet new friends! Act! Dance! Sing! Everyone gets a solo (If they want one! ), lines and role! Never a dull moment at rehearsals! Each family will be charged a $48 ticket fee for 6 tickets. More tickets are avail at $8 ea. LOCATION: The rehearsals will be held at the Bronxville Reformed Church at 180 Pondfield Road in Bronxville.